Living in central London, you tend to almost never drive. You see, it’s easier getting around on foot (I tend to not go for this option), train, bus etc. and even taking an Uber means no tedious task of looking for parking! However, on certain occasions, you will have to make a journey into the suburbs and my goodness, getting into the car after months feels like you’re taking your driving lesson all over again! This is exactly how I felt when I was invited to Skewd Kitchen. 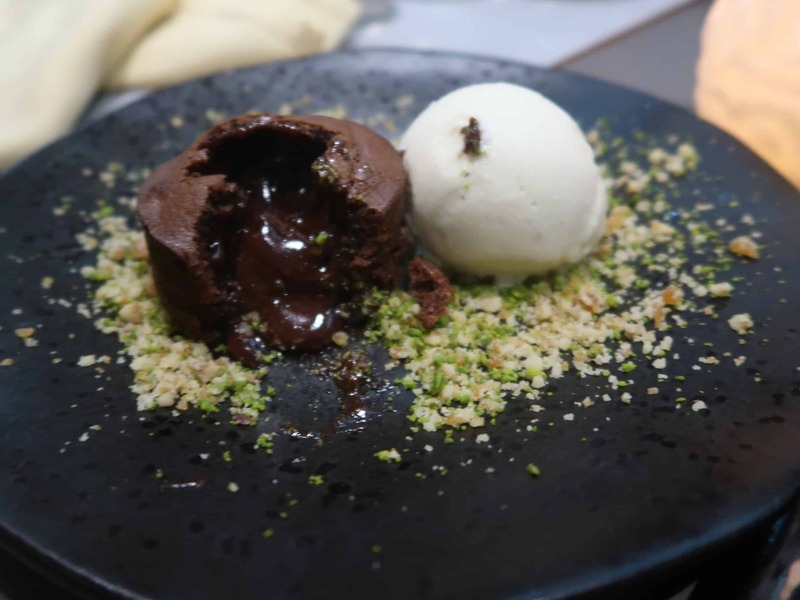 Skewd Kitchen is a hidden Turkish establishment located allllll the way in suburbia heaven, Cockfosters. Yup, you’ll know it as the last stop of the Piccadilly line! I was debating between taking the train and the car, but when I put Cockfosters in to my navigation, it estimated a full 90 minutes to get there by train and 50 minutes by car. Sigh, looks like it was going to be a long drive! I got there almost 20 minutes late, but just in time for food so here we go! 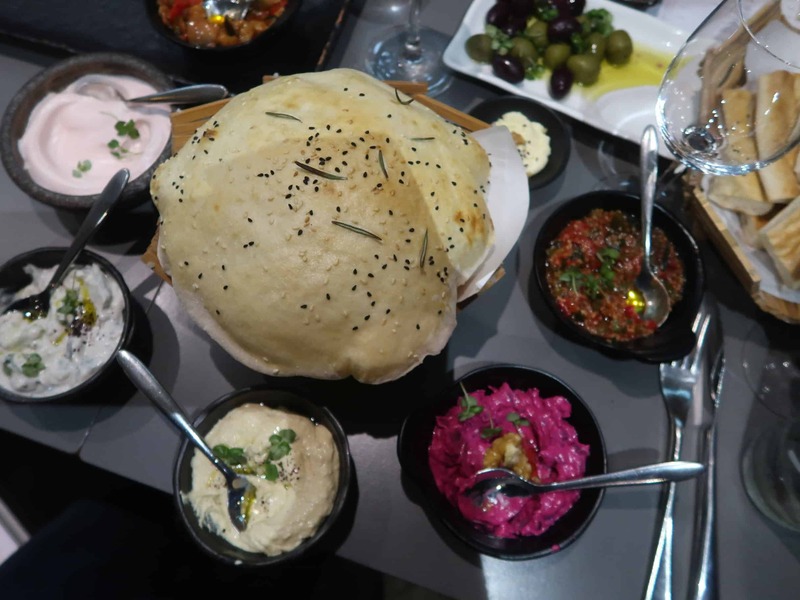 A good and varied selection of dips that included hummus, cacik (a cucumber, mint, and yoghurt sauce), beetroot tarator (roasted beetroot with yoghurt and garlic), taramasalata, and smashed eggplant. 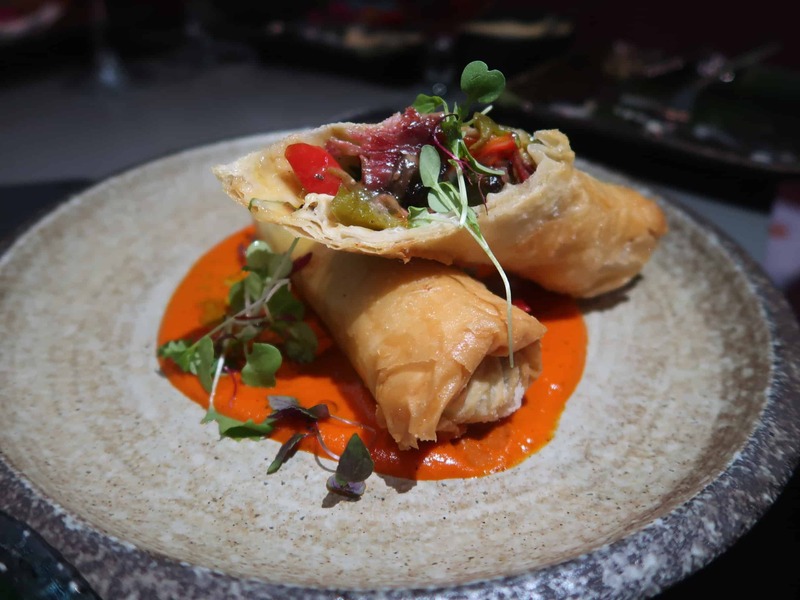 Filo pastry stuffed with peppers mushrooms, cheese and beef, served on a red pepper sauce. The filling was a little too plain for my liking. 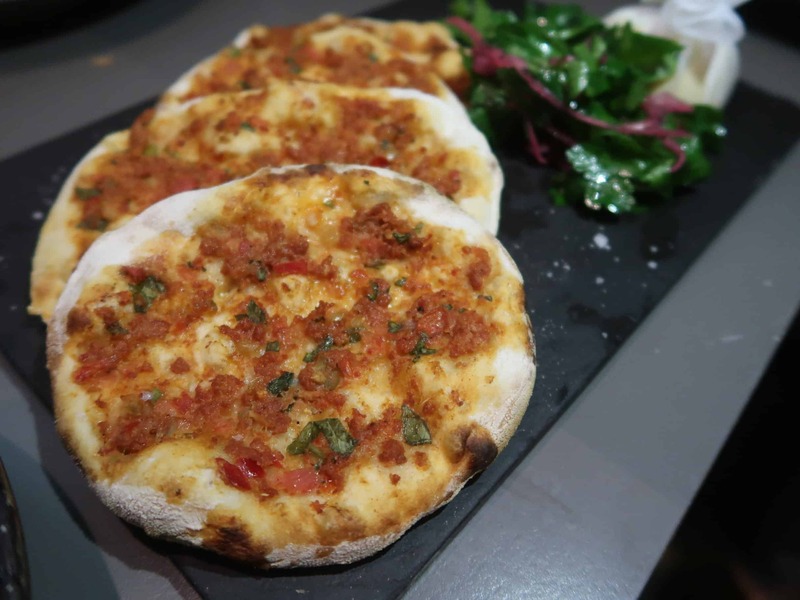 Tiny little flat breads that had been topped with minced lamb, crushed tomatoes, and diced peppers. I’ve had my fair share of lahmacuns but found Skewd Kitchen’s to be average and nothing out of the ordinary. 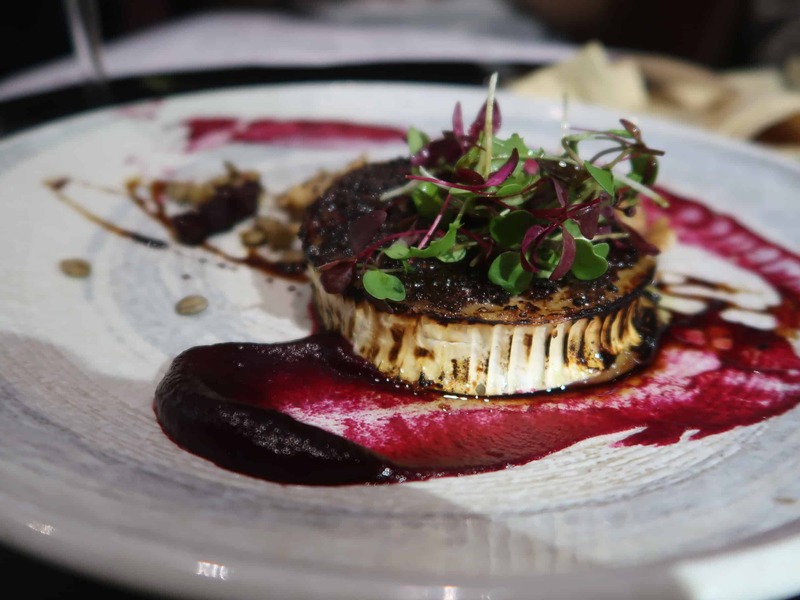 A large hunk of warm goat cheese that sat upon a tart roasted beetroot puree, and finished off with crushed walnuts, caramelised shallots, and a drizzle of balsamic. 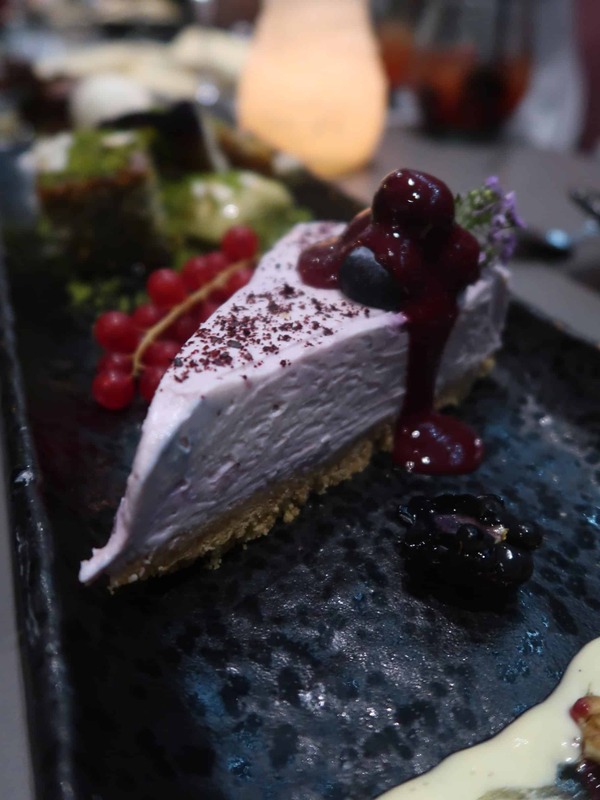 A classic yet fantastic combination with the tart beetroot and sweet honey and balsamic complementing the creamy goat cheese incredibly well. 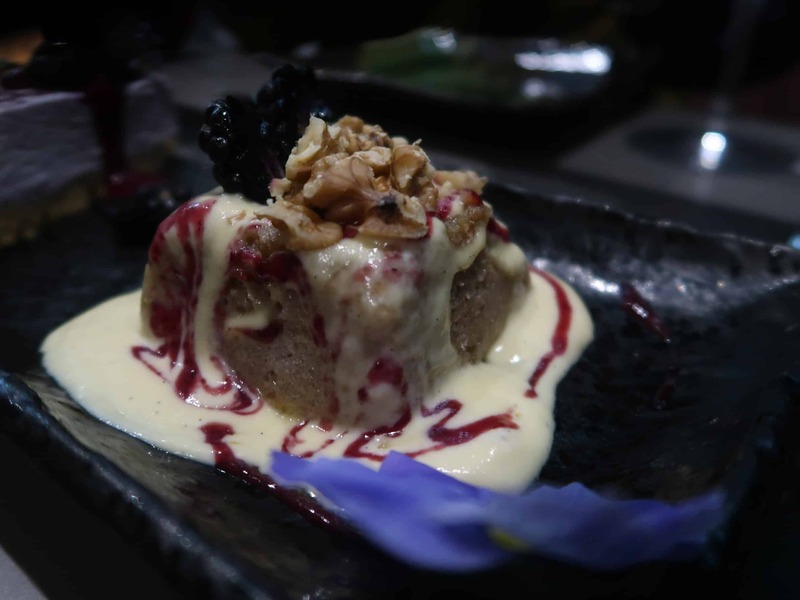 The walnuts and diced beetroot added a great textural contrast too. 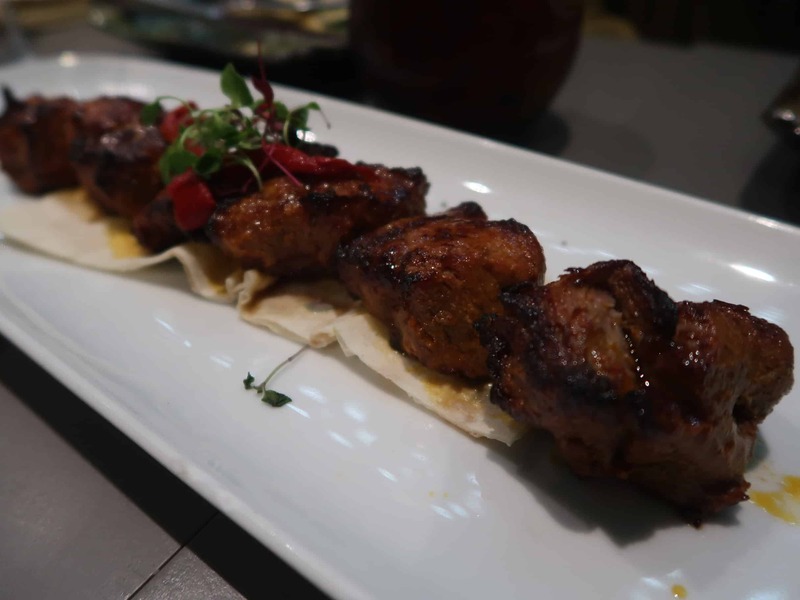 I always find lamb shish to be quite tough and chewy, especially if it hasn’t been eaten within 0.05 seconds of being served. Skewd Kitchen have a magic trick though, the lamb fillet remained tender and butter soft even after the photoshoot, and the smokiness from the charcoal helped to mask any lamby flavour. 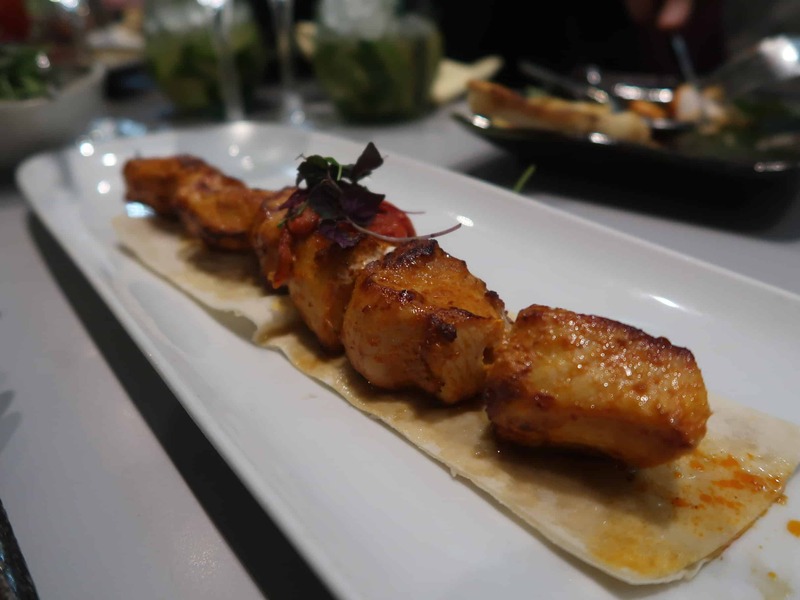 An incredibly juicy skewer of chicken shish. 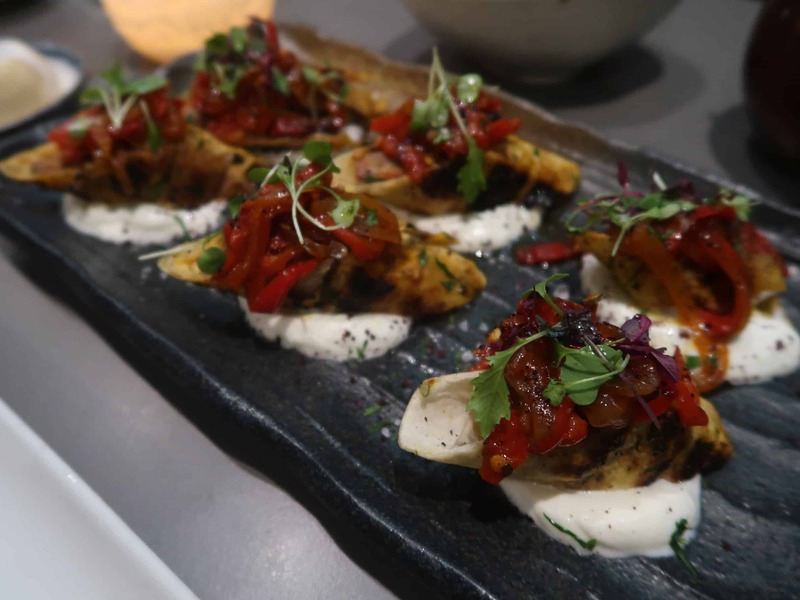 Chopped chicken shish which lay on a bed of smoked and smashed aubergines, with a pot of hung yoghurt for dunking. 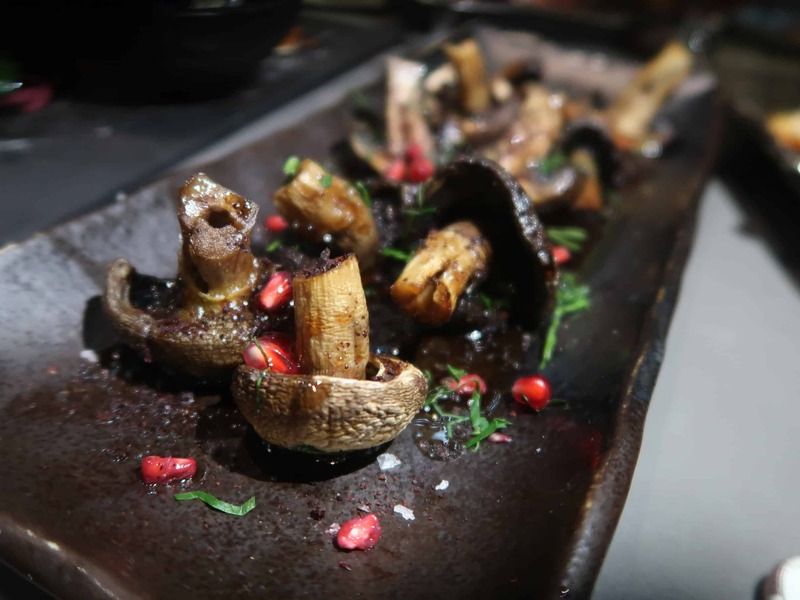 The chicken was super juicy, just like the shish, and although had a great flavour in itself, was taken to the next level with the garlic infused aubergine. 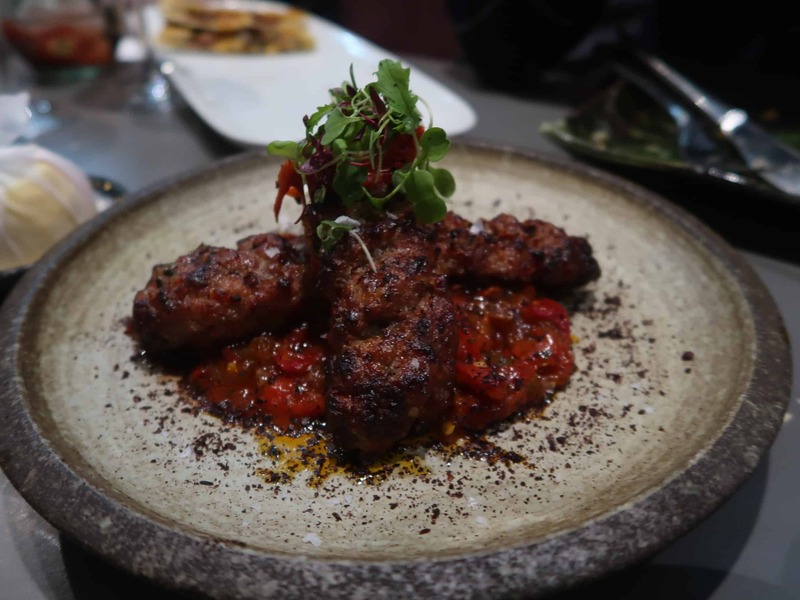 Adana kebab that lay on a spicy tomato and onion based sauce. 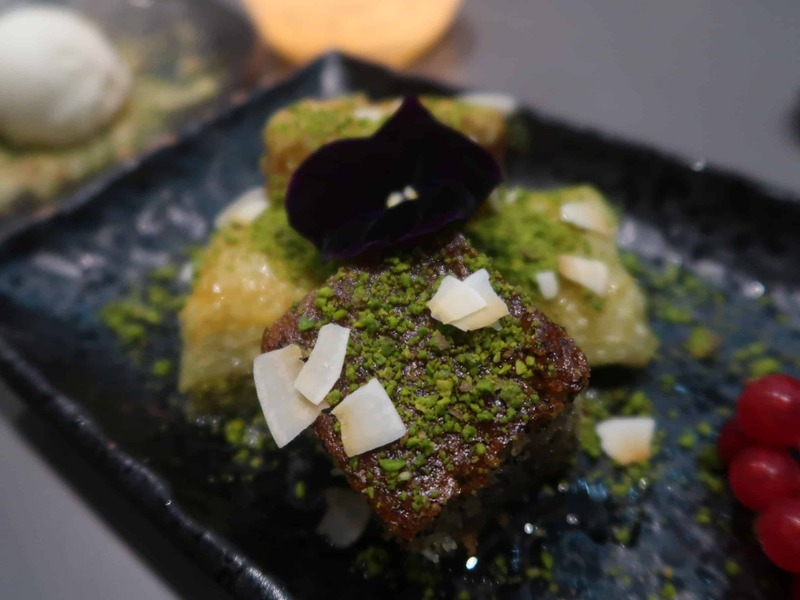 I didn’t get a chance to try this dish, but it received positive feedback from the table. 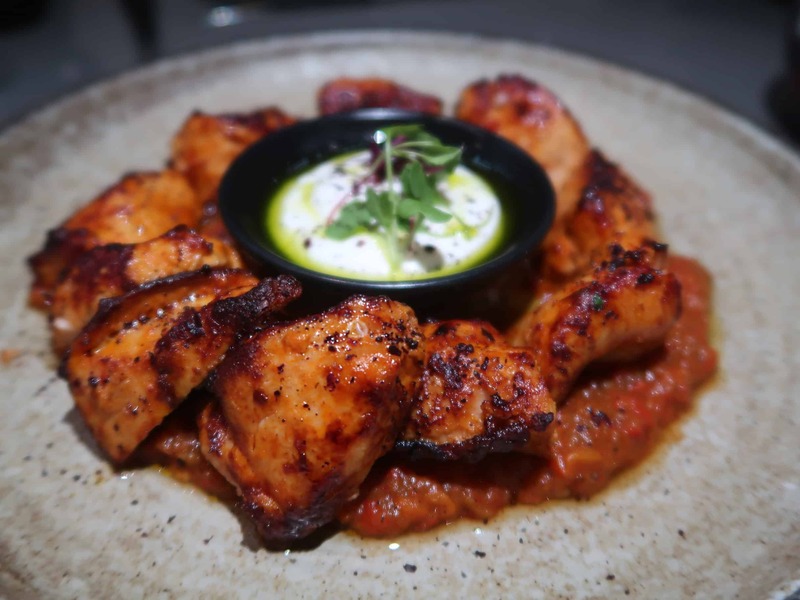 Adana kebab that had been wrapped in lavash bread, topped with a tomato and onion sauce, and doused in hot and melted charcoal butter. Phwoar this was definitely my favourite dish of the evening, and I couldn’t get enough of the butter soaked dish. 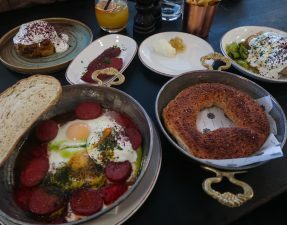 The adana was incredibly juicy with the halep sauce adding a kick of flavour, as well as being toned down with the yoghurt and buttery lavash bread. I wish I could pour everything in melted charcoal butter. The spinah and feta pide was quite simple and I found this to be quite dry, and would have liked more chilli to help cut through the cheese. 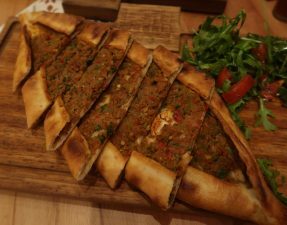 The Sultan’s Pide was a meat-lovers dream, topped with beef sujuk, diced lamb, and kasar cheese. 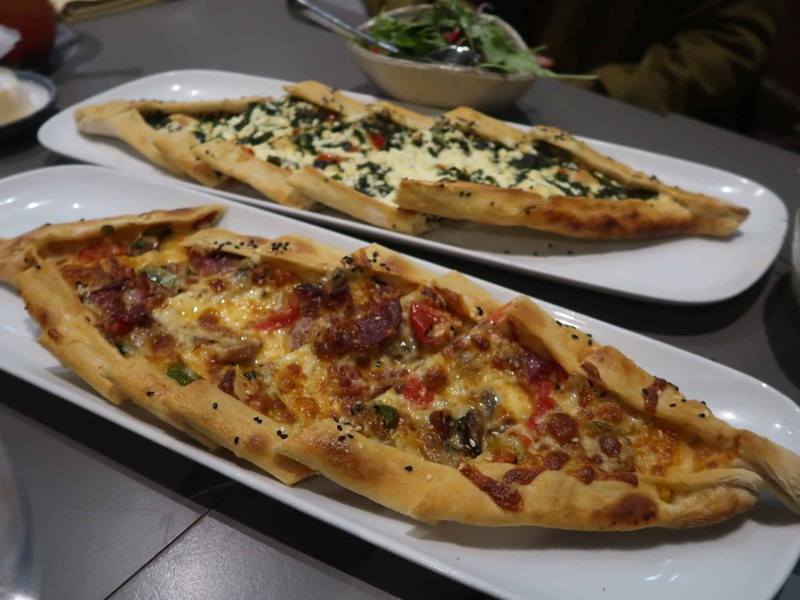 I found both the cheese and meat to be quite greasy and claggy, which did not really go well with the dry pide. 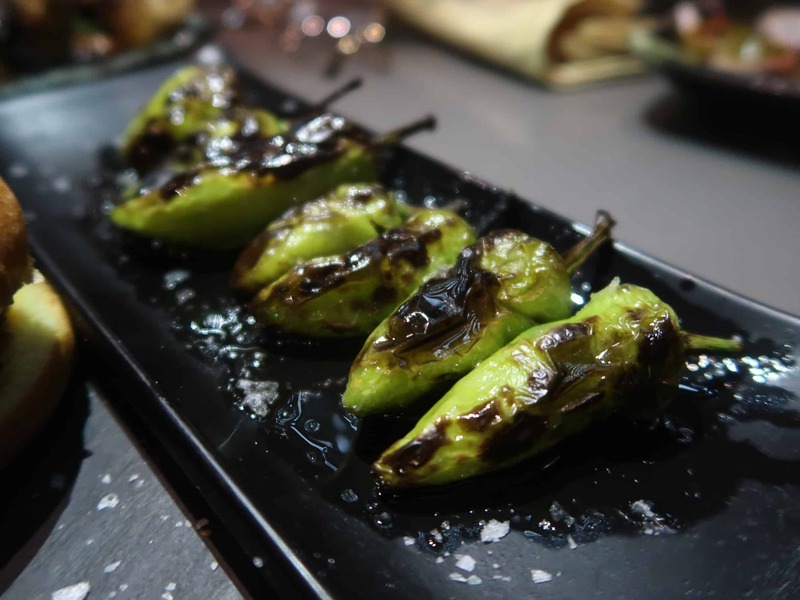 These fiery little guys had most of the tables grabbing for their water – absolutely deadly but still delicious. Another simple accompaniment of barbecued mushrooms and onions which had been cooked over the coal pit. 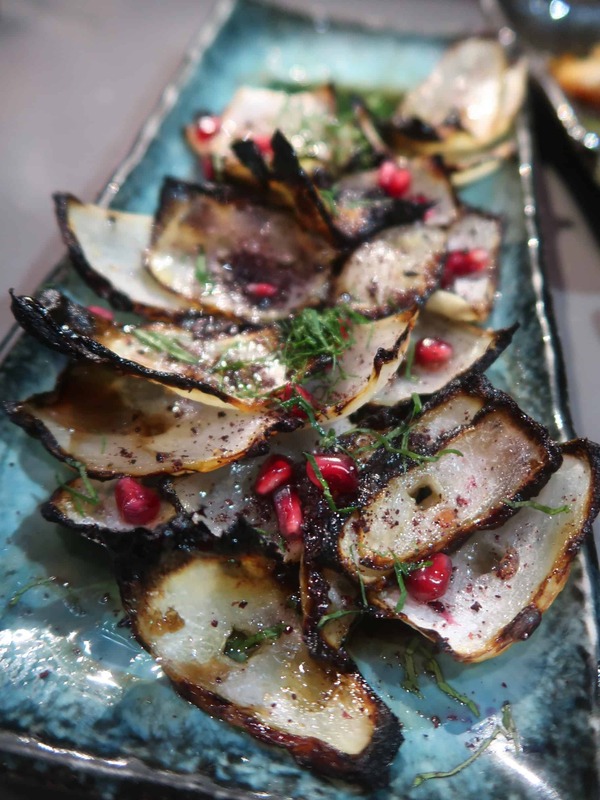 They had then been finished off with pomegranate molasses and sumac powder. Both were really, really enjoyable and incredibly simple. 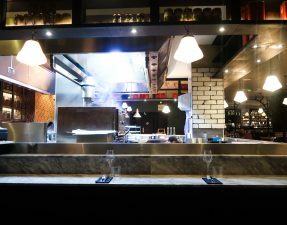 As we were a table of 20, I couldn’t tell you what the total bill amounted to, but I would guess that a meal at Skewd Kitchen would average out to £50 for 2 people including drinks and service. 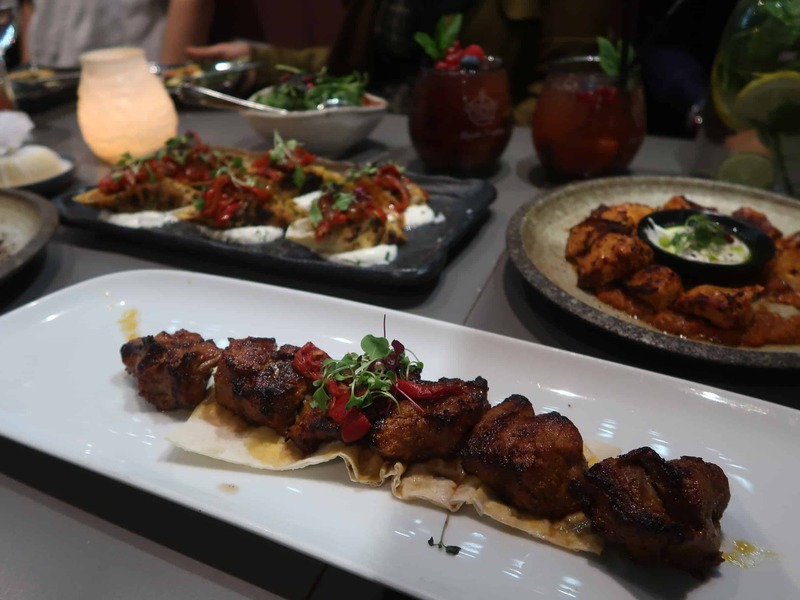 Whilst some of the classic dishes were a miss, like the lahmacun and pide, Skewd Kitchen really excelled in their grills. The wrapped beyti was fantastic as was the classic shish, and the steamed burgers were superbly good too. Would I return? For sure, but only if I was in the are!